It’s hard to believe, but winter really is right around the corner. And some of us have learned the hard way that it’s easier to hunt for a good snow shovel before the first 6-inch snowfall slams us—and before the stores sell out their supply. Although the selection of new styles might be puzzling at first glance, buying a snow shovel will be easier if you keep some simple ideas in mind before the first snowflake falls. 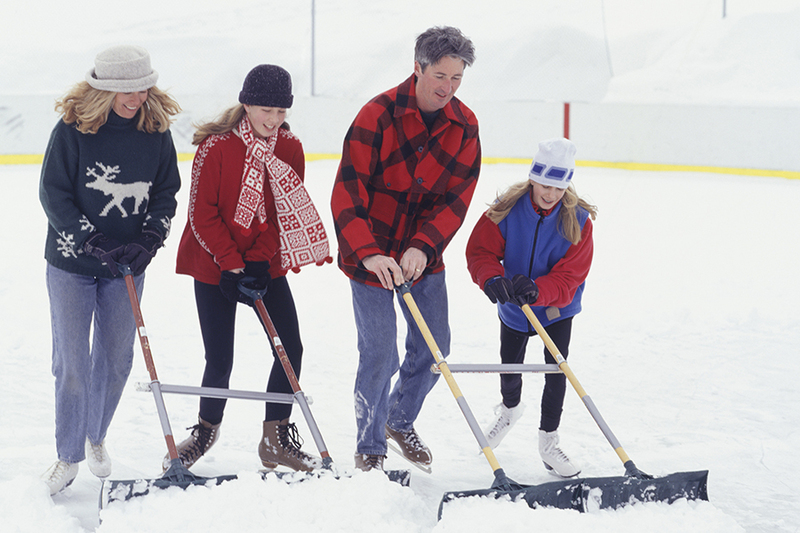 When selecting a shovel, look for a model that’s sturdy but not too heavy when empty. Remember, a shovel with a large blade will scoop more snow—but also be harder to lift when full. Depending on how water-saturated the snow is, it can weigh anywhere from roughly 7 to 20 pounds or more per cubic foot, so you want to make sure you’ll be able to lift it without too much strain. For comfort and easy use, match the length of the handle to your height. Make sure the grip is a good match for the size of your hands. While it may feel silly, bring your winter gloves along when you go shopping, and wear them to practice your best shoveling motion while testing each model. Snow that partially melts and refreezes can create a treacherous sheet of ice, so don’t forget to stock up on an ice-melting product as well. Look for the kinds that are considered safer for pets, children, and plants. Although some folks make do with one all-purpose shovel, others prefer a stable of shovels for different purposes. Flat-bladed ones are good for cutting through snowdrifts (the kinds the plows leave behind) while rounded scoops are better for pushing snow. Instead of a straight handle, some shovels have a wavy or bent design, marketed as an ergonomic improvement to reduce back strain, so that the user doesn’t have to bend over so far. These nontraditional snow shovels and scoops may also include a second gripping spot midway down the handle. If you’re an adventurous trend-setter or someone with a big area to clear, check out shovels on wheels, or the large, wide-scoop models designed to simply push snow to one side instead of lifting and flinging. 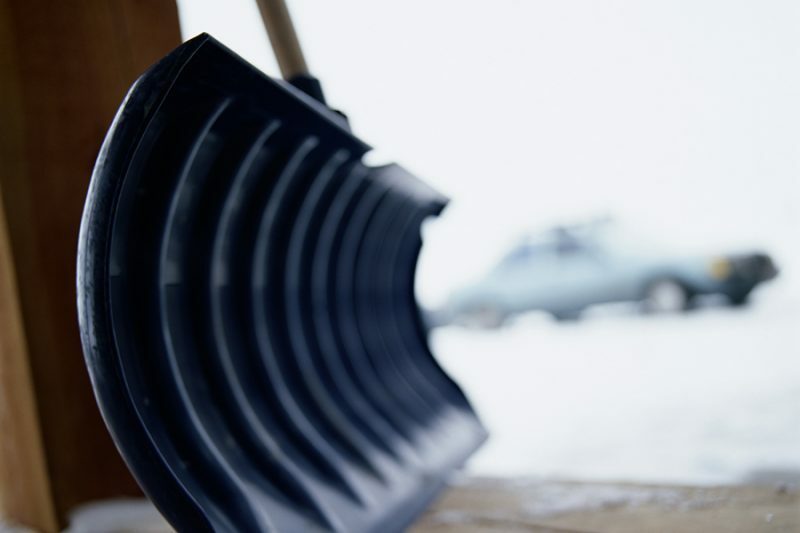 When clearing snow from a deck, consider a plastic shovel without a metal strip on the blade that won’t damage the wood, or simply use a broom if the snow is light. Even if chances are good the snow will melt in a few days, and you plan to skip major shoveling, it’s wise and neighborly to at least clear a simple footpath. In some towns, clearing sidewalks is required by law.